The hosts and staff were excellent. They helped out with what ever we needed and put us first everytime. A must for couples. It is a family run business and the owners were all very pleasant and helpful. We felt they genuinely care for the well-being of their guests. Nikos and family were fantastic hosts, from the pickup at the port to the car rental and help with booking of excursions; nothing was too much trouble. 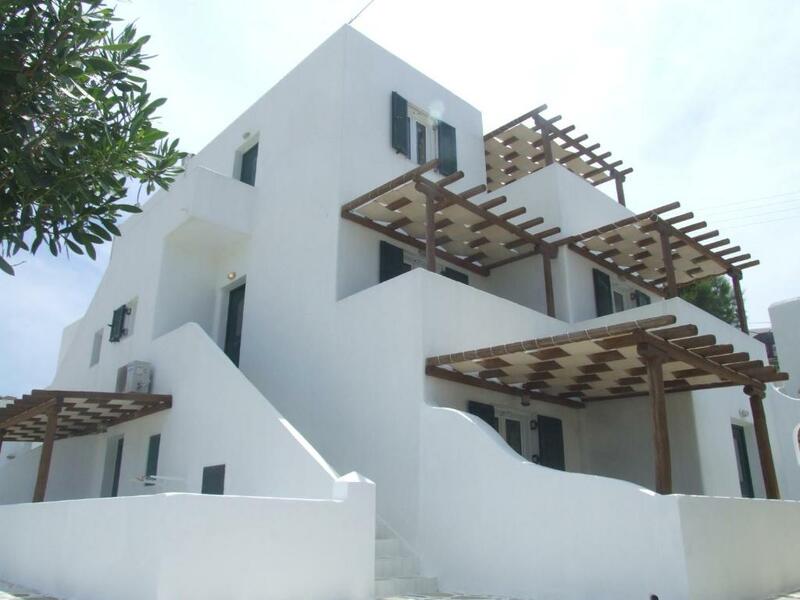 The property is stylish, spacious and clean, excellent value for money, and within easy walking distance of Mykonos town. Location is fantastic, hosts were immensely helpful and accommodating. They were so friendly and treated us well during our stay. Very close to little Venice, clean room, friendly staff. A nice environment to be in! Very clean and located at a beautiful spot with an excellent view of the new port from some parts of the property. Also the owner provides a complimentary pick up and drop service to the new port ferry terminal. Free pick up from airport. About a distance to walk to the city ( around 800 meters ). The owner & staff are friendly. Everything!!! The hosts were amazing and very attentive to our needs. The rooms were very spacious and clean. I recommend this hotel 100%. I will definitely be back again. Our stay at Sahas Studios was perfect. Our host picked us up from the ferry, which was a huge bonus since the taxi lines were incredibly long, and dropped us off at the airport for our early 7AM flight when we left. The room was spacious, and our bed comfortable and we had a private balcony where we could sit had we woken up early enough to enjoy the cool mornings. Air conditioning was also a huge plus. The location for us was great since we did rent an ATV from Sahas as well and so was an easy commute into the maintown of Mykonos and the farther beaches. I would recommend renting an ATV or scooter since walking to old town is a little bit far, and commuting to the other beaches is also a trek (but we have also heard the bus is great we just didn't try it out). The coffee is also INCREDIBLE and we enjoyed more than a few frappes. Lock in a great price for Sahas Suites – rated 9.2 by recent guests! 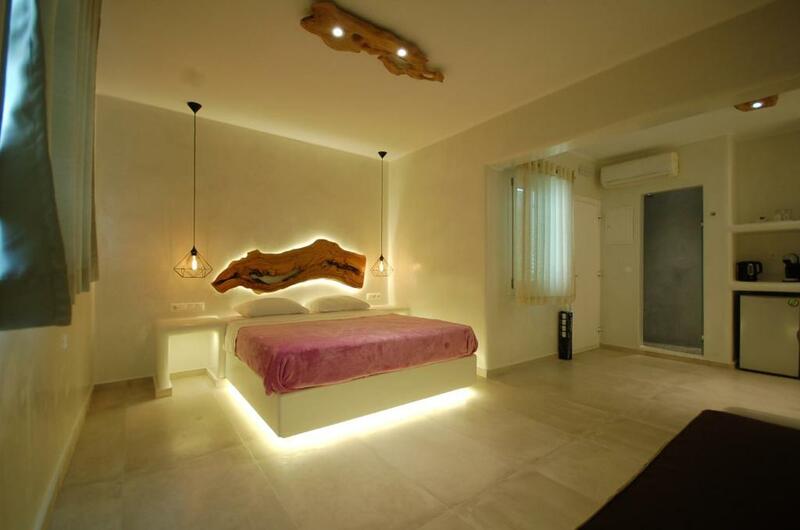 Just 10 minutes' walk from the town of Mykonos, Sahas Suites are peacefully located in Tagoo. 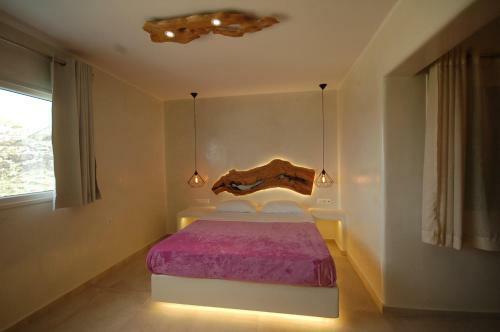 The property offers elegantly decorated suites with free WiFi and balcony. Private parking is possible on site upon reservation and charges may apply. Fitted with built-in sofas and well-chosen furnishings, the suites combine modern and traditional decor. Each comes with a seating area and a private bathroom with built-in shower. Facilities include air conditioning, a 32'' flat-screen TV and a coffee machine. Some units offer sea views, while some are also fitted with an outdoor hot tub. Sahas Suites offers a charming garden where guests can relax and enjoy a view of the Aegean Sea. 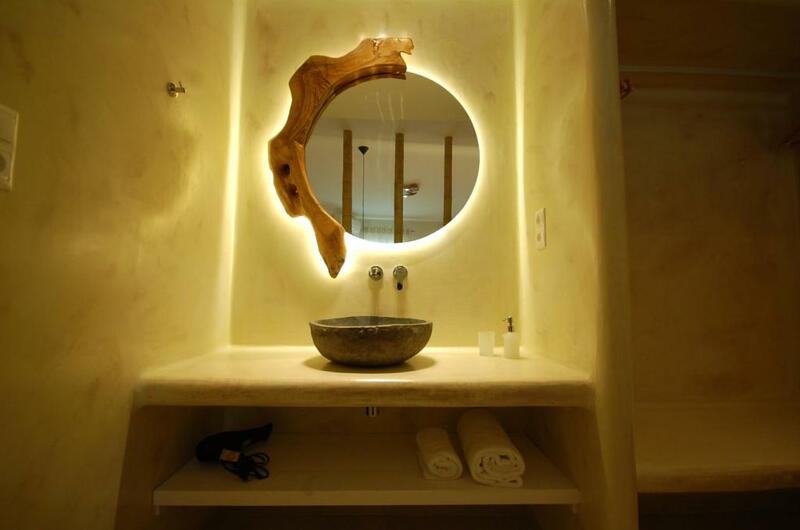 The nightlife of Mykonos Town is in easy reach, with a leisurely stroll to the center from the suites. The friendly owners also offer transfers to Mykonos Port. When would you like to stay at Sahas Suites? 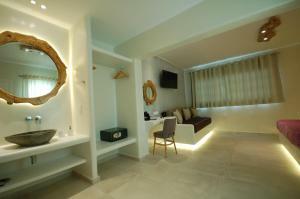 Opening to a private balcony with Aegean Sea view, this air-conditioned suite features a 32'' Flat-screen TV. It offers free Wi-Fi. Opening to a private balcony , this air-conditioned suite features a 32'' Flat-screen TV. It offers free Wi-Fi. This suite features a balcony, air conditioning and outdoor hot tub. This air-conditioned suite has a balcony fitted with an outdoor hot tub. House Rules Sahas Suites takes special requests – add in the next step! Sahas Suites accepts these cards and reserves the right to temporarily hold an amount prior to arrival. Sahas Suites offers free transfer from and to the port and airport from 08:00 until 22:00. For transfer outside these hours, property approval is needed. You are kindly requested to contact Sahas Suites in order to arrange the details. The Sahas Suites offers a 15% discount on car rental. Guests renting car through the property are also offered free, on-site parking. Please note that if the rental does not come from a vehicle rented from the property, the parking reservation will not be honored. Guests are free to use a common bathroom with shower before check in and after check out. We didn't like that we had to leave. Fantastic place Wonderful people! A High standard family hotel. Single, in a couple or with your family, Saha suites is the place to be if you would like to visit Mykonos. The suites are ran by a family and every family member was extremely friendly and helpful! 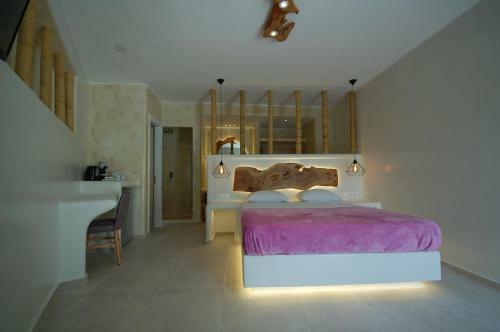 The suites are a 10 minute walk from Mykonos town and you can rent cars, scooters and quads from the accomodation. I couldnt recommend the suites enough and the rooms are even more beautiful in person!!! If you walk from downtown to the apt late at night, it can be a bit dark, but it felt very safe. Literally everything was like we wanted. Very good location - maybe not perfect, because it's 12min by foot from city centre, but in the same time area was not crowded and it was very quiet. Hosts were very welcoming and friendly. We got very good car for half the normal price comparing to high street companies. We got picked up and dropped off to and from the airport for free. (so convenient). Place was very tidy and as we know it has been refurbished not very long time ago. Looks and feels very high standard. Honestly recommend! Great location and perfect car rental!!! Thank's for your hospitality!!! Spacious room. 10 mins walk from town but could also rent a moto. Nikos and staff very friendly and gave great advice. The owner is fantastic! He goes out of his way to make you feel comfortable, provides pick up and drop off from the port and even starts you off with a cold bottle of water. It is fairly close to the main town and a really nice walk in. We timed it and it took just on 10 minutes so shouldn’t ever take more than 15 as a stroll. Room was comfy with everything you need. Absolutely could not fault this property. Transfers free Friendly owned family business. Well run & managed business. Acommodation clean/ well maintained and car/ bike hire available (would do this next time!) Loved staying here! Thanks Nikos for your hospitality and making our stay in Mykonos memorable. We loved everything about this place and the hosts. Very clean, neat and all amenities were available. Nikos and his family are very friendly and welcomed us, It was an enjoyable stay. Also the car rental services was affordable and convenient. Fully recommended. Apart from the great location and cleaned room, Niko was so kind to me. He helped me to find more about the boat strike over there. He provides me all the attention that I need. I really appreciated. Thank you very much. 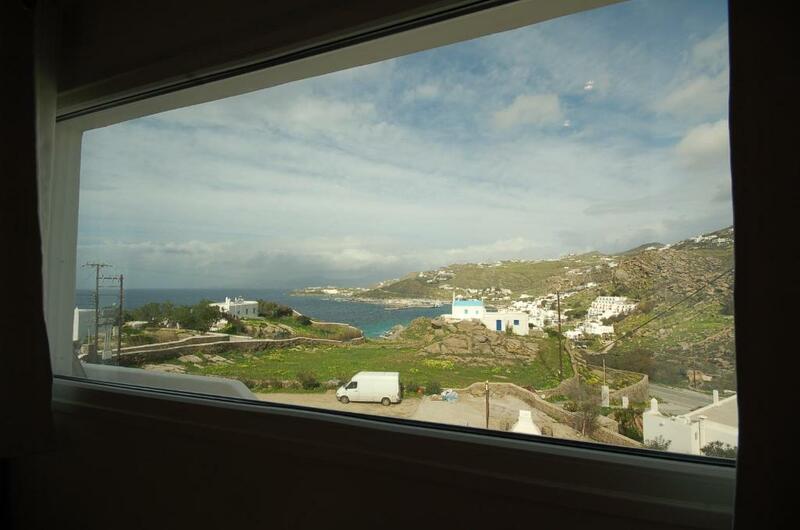 Perfect location with walking distance in to Mýkonos town and beach. Quad bikes and cars are available for hire at the property at good prices. The staff were absolutely incredible. When the ferry strike occurred they did their best to make sure we got to our next destination. I would definitely go back! Fittings in bathroom could be a little better. Host was friendly and helpful. Vehicle hire at the property is convenient. Short walk to town, so away from hustle bustle.